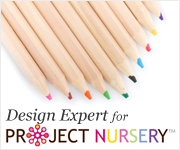 I'm starting a new weekly series this week. High vs Low. I will find a piece of furniture or an accessory that I really like and source the same look for a lower price. 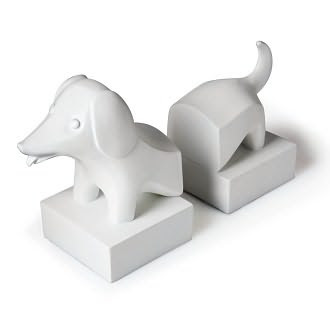 My High vs Low for this week is the white dachshund bookend. The originals from Jonathan Adler are $150, high fired stoneware with a wooden base. 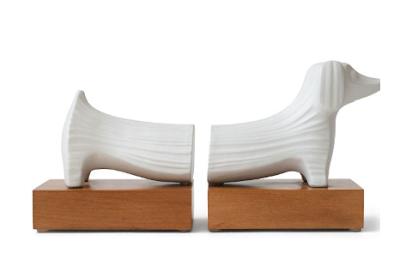 But for the same general look, and frankly a little more juvenile in nature, Jonathan Adler has designed a pair for Barnes & Noble in white resin and they are only $39.95. A steal! Adorable for a boy's or girl's room. I'm going to love this series! Those are both gorgeous!